The following communication was researched and written by Dr. Ian L.D. Forbes a historian, who published the histories of the Royal Adelaide, the QEH and Women’s and Children’s Hospitals and other sites. It is a historical precis rather than a narrative. It documents and the history of the owners, tenants, occupiers and strata titles of the AMA house from 1830s onwards. The documents have been gathered and researched with the kind permission of Dr. Andrew Lavender the President of the South Australian branch of the AMA. We hope that the photographs and the annotations will help to understand the history of Newland House. Sir Henry Newland was a passionate promoter of an Australian branch of the BMA (British Medical Association) After 1962 a complete autonomous AMA (Australian Medical Association) replaced the BMA. Sir Henry was made a Honorary Life Member and Dr R. M. Glynn the president of the branch wrote: “The Council was quite determined in it’s desire to perpetuate your name with the offices of the association and the name of Newland House was proposed and unanimously supported. 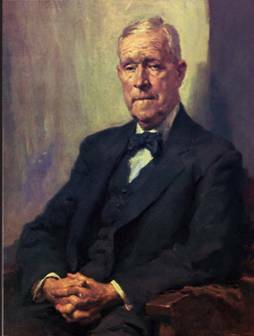 IVOR HELLE PORTRAIT OF SIR HENRY SIMPSON NEWLAND, MS. ADELAIDE, FRACS., IN A BIOGRPHY BY J. ESTCOURT HUGHES PUBLISHED BY AUSTRALIAN FELLOWS OF THE ROYAL AUSTRALIAN COLLEGE OF SURGEONS, 1972. In 1879 thirty South Australian doctors came together to form a branch of the British Medical Association, after nine doctors met for preliminary discussion, and in July 1880 the British Medical Association South Australian Branch was formally founded. It was the first branch established under the Southern Cross. 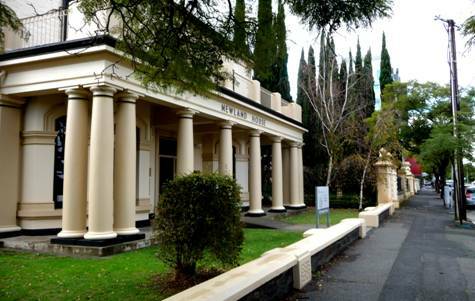 The Association’s first formal headquarters were located in the Lady Colton Hall in Hindmarsh Square and, as the South Australian branch of the British Medical Association was not an incorporated body, some of the members formed the British Medical Hall Company Limited to purchase the property in 1913. The Association remained there until 1926, when it sold the Hindmarsh Square property and bought land on North Terrace, the Mecca of many Adelaide doctors. The proposed North Terrace building did not eventuate; instead, from 1926 until 1933 the Association rented temporary accommodation in the Darling Building, University of Adelaide, and then took temporary accommodation in the Verco Building on North Terrace from 1933 until 1951. By this time several prominent Adelaide doctors were established in North Adelaide, and in 1951 the British Medical Hall Company Limited bought 80 Brougham Place for £11,500 as the headquarters of the South Australian Branch of the British Medical Association. The building in 1951 lacked some of the features it subsequently acquired. It was an Italianate two storey bluestone residence constructed in the 1870s, with cast iron balustrading on the front fence, and later described as ‘an important example of the type of mansions constructed in Palmer Place during the 1870s-1880s.’ In the 1880s the later Newland House was extended and included the bay windows which now grace its appearance, but it still lacked verandah and columns. In 1954 the Association modernised the premises both inside and out. 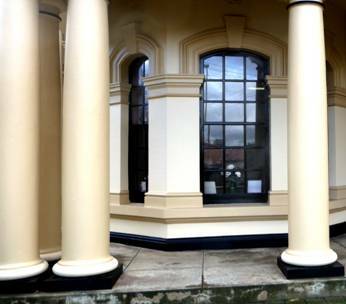 Most obvious was the addition of the verandah with Tuscan columns and solid architrave. The cast iron balustrade was removed from the fencing, leaving the bluestone plinth. The permanent home of the Branch was named Newland House that year (1954), and on 1 January 1962 the S A Branch of the British Medical Association became the South Australian Branch of the Australian Medical Association. This brief historical account deals with Newland House, 80 Brougham Place North Adelaide, the headquarters of the South Australian Branch of the Australian Medical Association. The greater part of the property is situated on Town Acre 741, but in 1930 a small section of Town Acre 740 was added to the property, and from time to time sections of both town acres were jointly in the possession of the same owners. This account therefore focuses on Town Acre 741, but first a brief reference to Town Acre 740. Town Acre 740 was granted to Francis Wilson on 23 December 1837. Within a short time it was divided into two sections, and by 1843 the land came into the care of the prominent auctioneer and politician John Bentham Neales who until 1856 had possession of the three acres 739, 740 and 741 on which were a house, a detached cottage, a 2.5 acre garden, and stables. Neales disposed of portions of Town Acre 740 to various people, including in 1863 Dr John Woodforde who accompanied Colonel William Light to South Australia on the Rapid in 1836 and remained there until he died in 1866. He was nstrumental in the establishment of the Medical Board in 1844 and was one of its first members. Dr Woodforde’s property was on the eastern end of acre 740 and extended into part of acre 739. His widow Caroline Woodforde remained there until 1873, when the property was acquired by Albion J Tolley, then Maurice Salom. The other main section of Town Acre 740, 78 Brougham Place, was a property on the western half, adjacent to acre 741. In 1864 Charles Jacobs obtained this section of acre 740 and built Kingsmead, an Italianate mansion designed by Edmund Wright which later became a private hotel and then private apartments. In 1918 it was acquired by Mrs Marion Aldridge who in the late 1940s was joined by Harry Houghton Swift and Brian Herbert Swift, who appear further in this account. Approximately five linear metres of this land eventually came into the possession of the Australian Medical Association. The Swift family was heavily involved in acres 740 and 741. In 1918 Dr Harry Swift, a prominent physician who served at the Adelaide Children’s Hospital for twenty-eight years, tenanted the eastern half of Town Acre 740. He investigated a new disease for children which he named erythroedema and which became known as ‘pink’ disease or Swift’s disease. Dr Harry Swift died in 1937 leaving three sons, two of whom appear in this account, as does also the family of his wife, South Australian born Kate Marion Lilian Peacock. Newland House is situated on Town Acre 741, which was granted to Henry Jones on 30 August 1839, and stands on the eastern half of this acre. For a time the ubiquitous John Bentham Neales managed the acre, as noticed above. In August 1878 the eastern half was purchased by George Robert Debney (gentleman), Andrew McIntyre (doctor of medicine) and Lionel Swanwick Wicksteed (land agent). The Peacock and Swift families became heavily involved. In December 1880 Debney, McIntyre and Wicksteed transferred it to Mrs Maria Houghton Peacock (widow of Joseph Peacock), who lived there until she died in June 1901, and in 1885 Kate Marion Lilian Peacock (Dr Harry Swift’s wife) held a mortgage which in 1890 was transferred to Caleb Peacock, who in 1875-7 was Adelaide’s first native-born mayor and held the position twice. The mortgage was discharged four years later. On 1 March 1895 Maria Peacock transferred the property to Miss Louisa Ann Elizabeth Peacock and Miss Muriel Josephine Peacock. The latter died in February 1917, and in September 1919 title was transferred to Louisa Ann Elizabeth Peacock, who was possibly Brian Swift’s aunt, Harry Houghton Swift of Adelaide engineer, and Brian Herbert Swift of parts beyond the seas medical practitioner. Dr Brian Swift (Sir Brian Swift from 1954) returned the following month from service in Europe where he won the Military Cross before transferring to the Royal Air Force. Miss Peacock probably lived there until July 1946 when she died. 64 Palmer Place (which was owned by Joan Swift). The British Medical Association was on the first floor and Dr Ruth Heighway and several other doctors tenanted the remainder of the building. These two properties – the eastern half of Town Acre 741 and the narrow strip of Town Acre 740 – comprise the property acquired by the British Medical Association in 1951 and its successor the South Australian Branch of the Australian Medical Association in 1962. Miss Peacock died on 29 July 1946 and on 15 May 1951 Harry Houghton Swift, who was overseas, and Brian Herbert Swift, now in Adelaide, transferred these properties to British Medical Hall Company Limited of Verco Buildings North Terrace Adelaide. 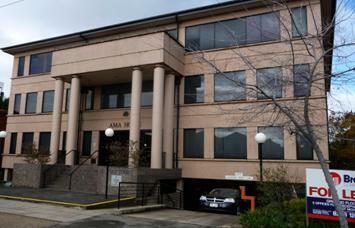 On 10 July 1959 they were transferred from British Medical Hall Company Limited to The South Australian Branch of the British Medical Association Incorporated of 80 Brougham Place North Adelaide, and on 6 October 1989 the name changed to The South Australian Branch of the Australian Medical Association Incorporated of 80 Brougham Place North Adelaide. By 1980 it appears that 80 Brougham Place was divided into six tenancies spread across nine rooms. The Adelaide City Council rolls name the tenancies as Dr Heather Ross, Dr J Mark Bonnin, Dr Ronald Hunter, Dr Eric Sims, three offices occupied by the South Australian Branch of the Australian Medical Association, and Australian Medical Services Pty Ltd. Within the next decade important changes were effected in the registered ownership of the property. In 1973 the Strata Schemes (Freehold Development) Act was legislated into existence after a decade or so of investigation. It was later substantially amended in 1996. The legislation is said to allow for ownership of common (or shared) property, the management and maintenance of that common property and for the regulating of the social interaction of all the building occupants. The SA Branch of the AMA took the course offered by this legislation. In 1980 Newland House had some six tenancies, and about this time the occupants of the building on Town Acre 741, situated at 161-167 Ward Street backing on to Newland House and now known as AMA House, joined them in working towards a common property strata title. In October 1990 application was lodged with the Lands Titles Registration Office for registration of Strata Plan 11109 and in January 1995 a new title was issued naming Strata Corporation No.11109 Inc, of 161-167 Ward Street North Adelaide SA 5006 as registered proprietor under Common Property Strata Plan 11109. 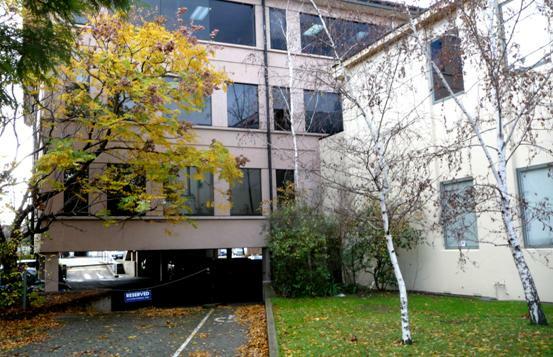 Currently some eight members occupy thirteen rooms or offices across both buildings, including the SA Salaried Medical Officers, the Medical Defence Association, and Skin Cancer Research SA. UNDERPASS CONNECTING BROUGHAM PLACE TO WARD STREET. NEWLAND HOUSE (RIGHT) AMA HOUSE AHEAD.